On Sunday I went with friends, to the National Museum of Popular Arts and Traditions, which is in Rome (EUR). 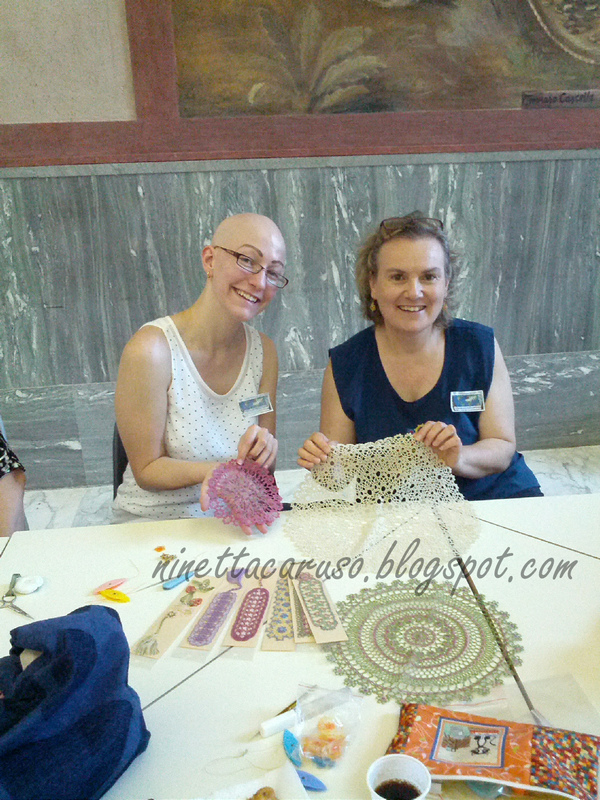 It was the "International Lace Day 2017" (there's a group in facebook with the same name plus the word ITALIA, you can go there to find some pictures) and I enjoy meeting others who loves lace. 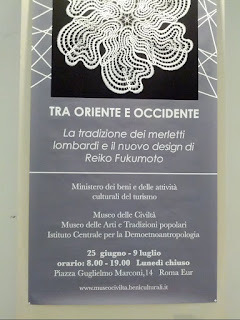 There's a lace exhibition too, until the 9th of July it will be open. 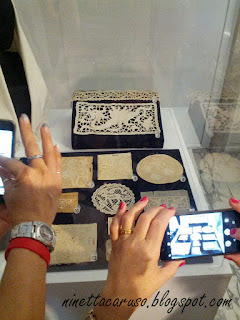 Old bobbin laces were in a glass showcase, those are just bits of the enormous collection (thousands of pieces) owned by the museum, unfortunately not always visible to visitors and they not always let you take pictures, they let us do it just because of the international lace event. 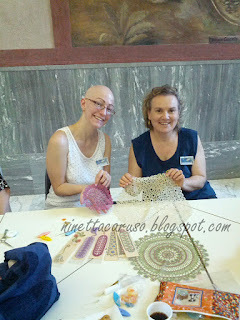 I was prepared to meet only bobbin lacers but as soon as I entered in a big room, a nice smiling girl looked at me, I was wearing a blue top with tatting sewed on, and she introduced herself as a Canadian tatter! The surprise was not only just for me, in fact she was there as a tourist, not even knowing about the event. What a lovely happy coincidence! Thank you for your kindness, Stephanie! That was wonderful, to meet another tatter! The lace event sounds well worth a visit. Pretty earrings! 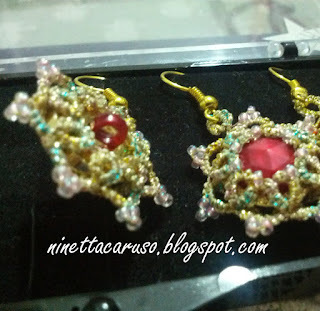 So nice to meet another tatter and show off your skills, Lovely earrings.